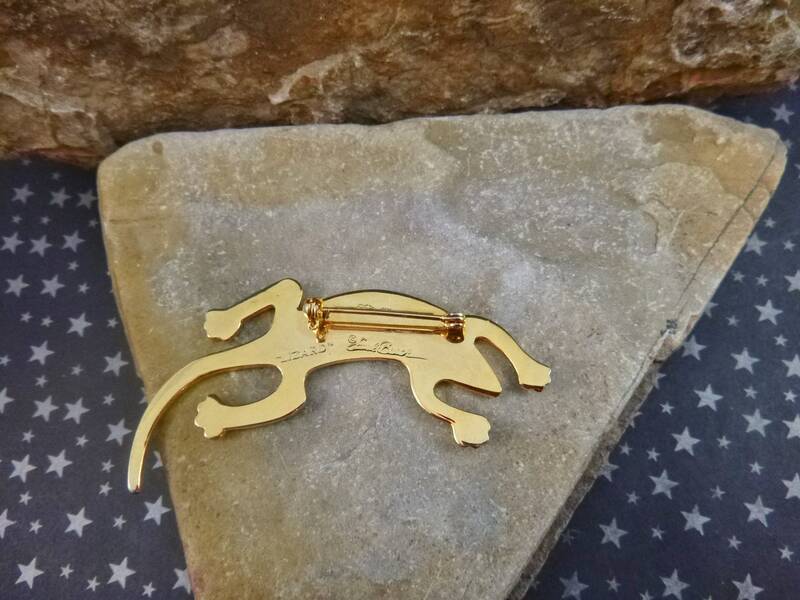 This is a classic Laurel Burch brooch – bright, whimsical, and fun. It’s signed by the late artist creator, Laurel Burch, whose personal story is worth reading on her official website: laurelburch.com. 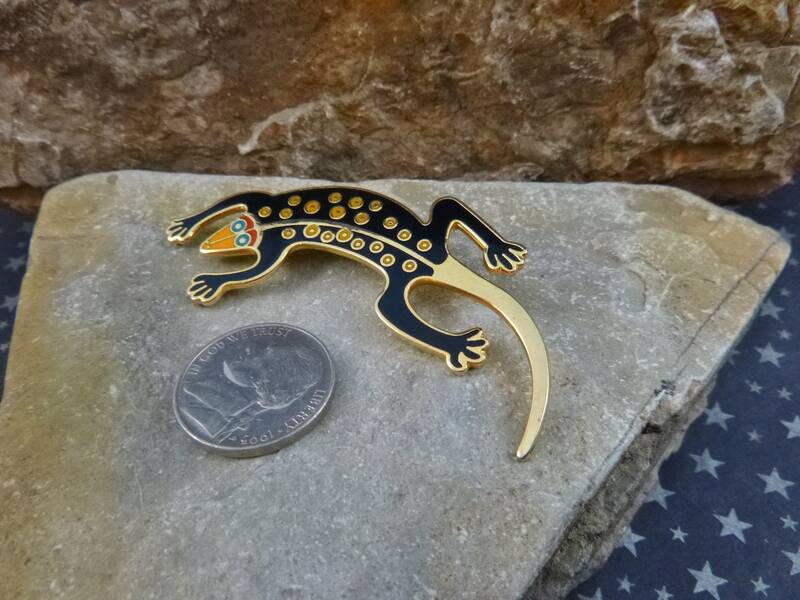 According to her website, her work "was always about bringing different cultures together, and about our connection with the earth and all living things." 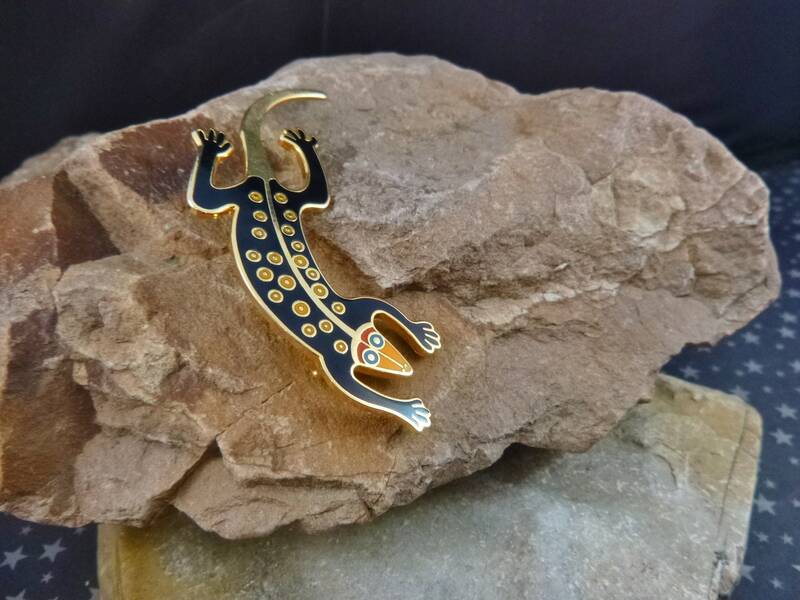 This black lizard brooch is in cloisonné style enamel over gold tone metal. 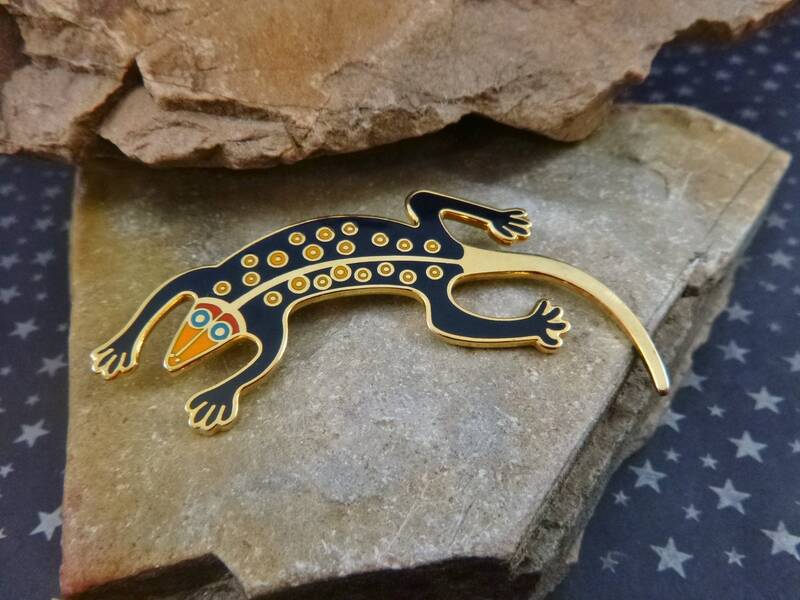 The “© Laurel Burch” marker’s mark along with the design name “Lizard” are visible on the back. It in very good to excellent vintage condition showing very light signs of wear, mostly in the form of a few gentle scratches to the back metal. 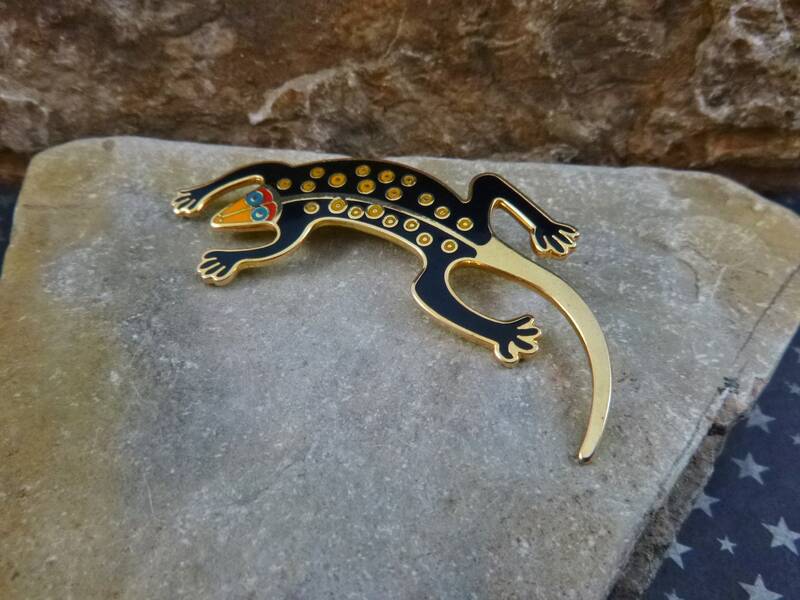 The brooch, with a bit of a southwest flair, is on the larger side, measuring 2.75’ in length and 1.25” in width. 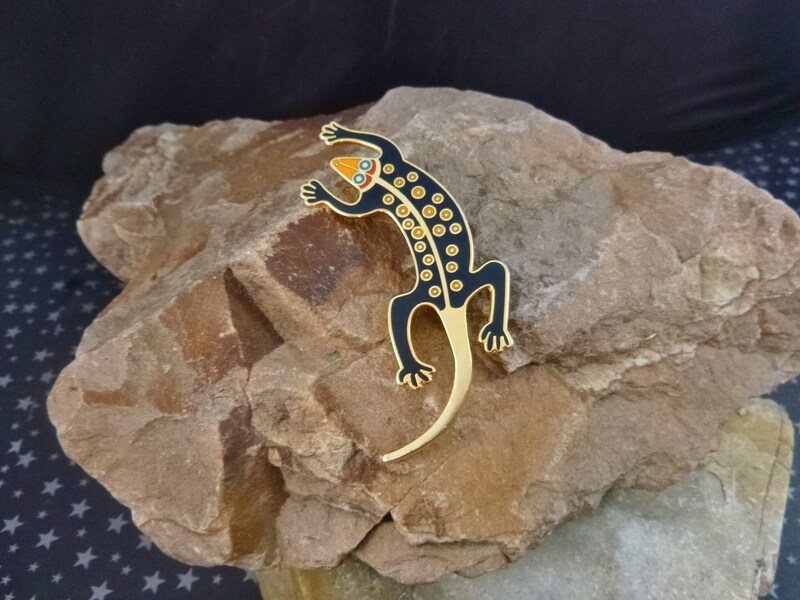 This bright, cheery lizard is charming, light hearted, and delightful. The pictures offer additional perspective on its vintage condition and whimsical flair. (Note: I have a red camera and on some pictures there is a bit of its shadow; not metal discoloration).